Being a senior today vs. sixty years ago, could not be more different. Individuals in pictures from the 1940’s and 1950’s, who were 65, often looked at least ten years older than what we consider to be someone in their 6’th decade today. Women, many times, wore a gray bun in the back of their head, had on an apron and appeared much more feeble. 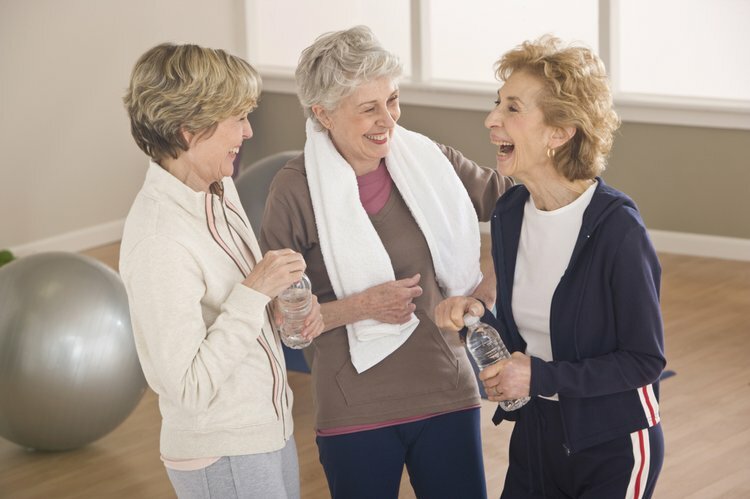 Those over 55+ in 2012, are still living life to its fullest as long as good health prevails. They are remaining active for many years. They often look and feel much younger than their chronological age. Many still work full-time and stay busy in their leisure time. They travel, go to the gym, dance and even bungee jump. These members of the Baby Boom generation are turning 65 at a clip of roughly 10,000 per day. Even so, the generation famous for being at the center of the “youth culture” of the ’60s, doesn’t particularly like to think of itself as old. Senior citizens? According to boomers, the term refers to their parents, the World War II generation, not the folks who could have gone to Woodstock. So even though Baby Boomers love getting a deal as much as the next person, they hate the idea of getting a “senior discount”—which is tantamount to accepting the fact that they’re officially old. The solution, from a business point of view, may be a silly game of semantics. Restaurants, associations, and various businesses often replace the phrase “senior discount” with something less overtly age-based, so as not to turn off the lucrative boomer customer base. The AARP welcomes “members” (not “seniors”) starting at age 50, and all the perks are referred to as “member benefits” not senior benefits or senior discounts. Marketing to boomers can be tricky business, especially when the products and services at hand are clearly intended for people struggling with the aging process. BusinessWeek pointed out that contractors expect that the renovating of Baby Boomers’ homes will be a huge business going forward, with boomers increasingly in need of “age-appropriate remodeling” ranging from toilet grab bars to elevators. But contractors must be careful how they propose such projects. To varying degrees, age-appropriate updates are necessary should boomers want to stay safely in their homes as they get older. And yet, “Nobody wants their home to look like a hospital facility,” says Bill Millholland, an executive at the remodeling firm Case Design. This is especially the case for a generation that doesn’t like to think of itself as old, let alone aged and dying. A separate issue entirely is whether or not boomers or seniors actually deserve discounts simply because they’ve managed to reach the age of 50, or 62, or 70. A lively discussion on the topic came after USA Today published an op-ed arguing that all senior discounts should be killed because, by and large, older folks are wealthier than the average citizen, and it’s the young who are essentially subsidizing the discounts enjoyed by their older, richer counterparts. What do you think of the word “senior?” Do you have a good name to redefine this demographic? And, do you think once you have reached a certain age, that you should receive certain discounts or not? It truly seems that today, 65 is the new 55 and at 75, you are really 65! This is good news for those who want to live life to its fullest and are not ready to sit in a rocking chair and age quietly.